By keeping track with the latest market development, we introduce high quality Pure Salt. The salt provided by us is processed with the aid of advanced technology under the supervision of adroit professionals at our vendors' end. For its purity, our offered salt is highly demanded by our patrons. This salt helps regulate the blood sugar of the body. 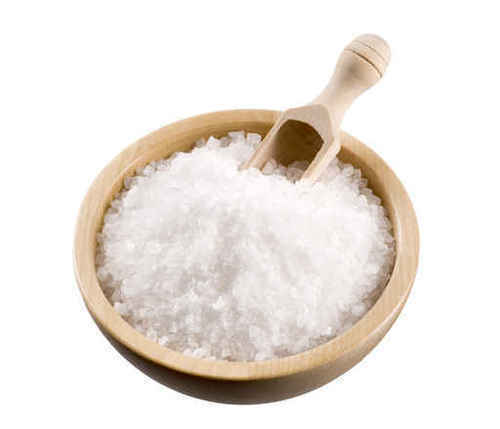 In addition to this, the provided salt is sternly tested against several quality parameters to ensure its purity. NOTE:The above mention Price the minimum price and vary. Incorporated in the year 2011 at Ghaziabad (Uttar Pradesh, India), we “Om Sai Chemical” are known as a leading trader and supplier of pure range of Sulphuric Acid, Nitric Acid, Hydrogen Peroxide, Soda Ash, Caustic Flakes, Caustic Soda Lye, Acetic Acid, Ferrous Sulphate, Industrial Salt, Industrial Chemical, Acid Slurry, etc. Under the inspiring guidance of our Proprietor, “Mr. Rajneesh Sharma”, we have gained huge success in this domain across the nation. The offered chemical range is formulated by our dependable vendors in sync with defined quality norms using high grade chemical compounds and advanced formulation technology under the direction of chemical experts. These chemicals are highly demanded due to their stability, longer shelf life, purity, precise pH value and accurate composition.